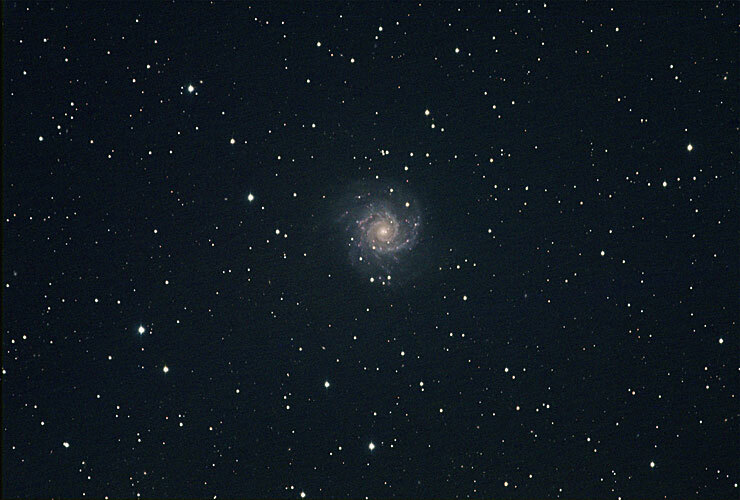 This is a faint type Sc spiral galaxy approx. 20 million light years away. It is 8 arc minutes in diameter, and magnitude 8.8. While the nucleus is small and bright, its outer arms are very faint, making this a difficult subject to image. Processing Notes: MaxIm DL/CCD - Dark subtracted, and median combined. Photoshop - Color combined, curves, slight color balance, and unsharp mask sharpening.